Honda isn’t just a lawnmower company that makes cars. The giant Japanese mega-corporation has a hand in everything, even seafood supply contracts. Honda Trading Corp. President Motohide Sudo is one of four execs who were charged with propping up seafood vendors by purchasing products at more than market price since 2004, according to Japan Times. 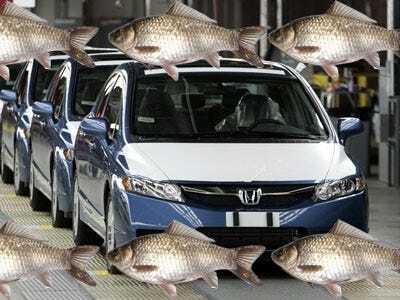 Honda says it will pull out of seafood operations soon.